Super light & strong, this rigid chair reduces required energy and strain which provides a smoother & more efficient ride. 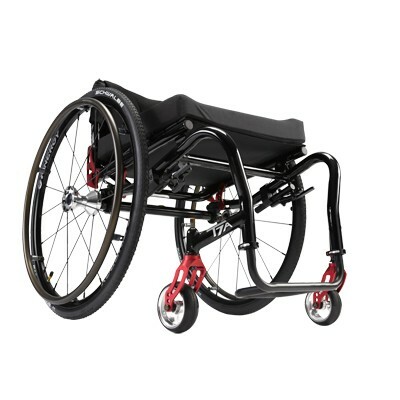 The Invacare Top End Crossfire T7A Wheelchair features welded caster head tubes to eliminate the need for an adjustment in a high impact area and preserve performance for the long haul. The performance frame endures the rigors of everyday use and keeps the ride smooth. Seat To Floor Height: Front 16"-21"